Vancouver Vanishes launched a book on November 23! 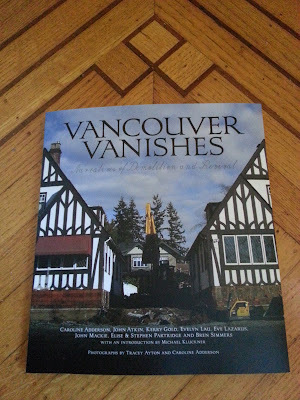 The enthusiastic and large audience at the Book Warehouse was keen to keep Vancouver's older homes from demolition. My 1938 house has the flooring ubiquitous to many of the unfortunate houses now gone to smithereens.